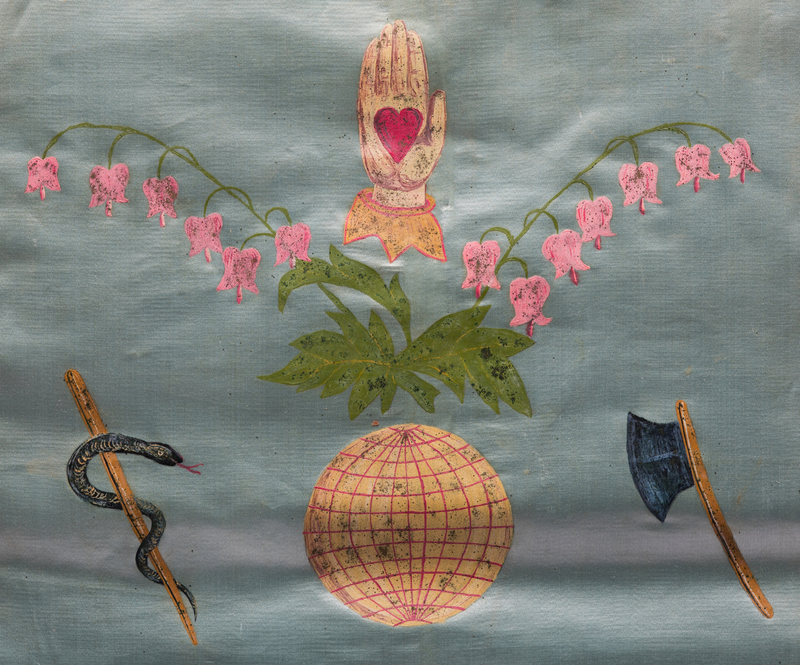 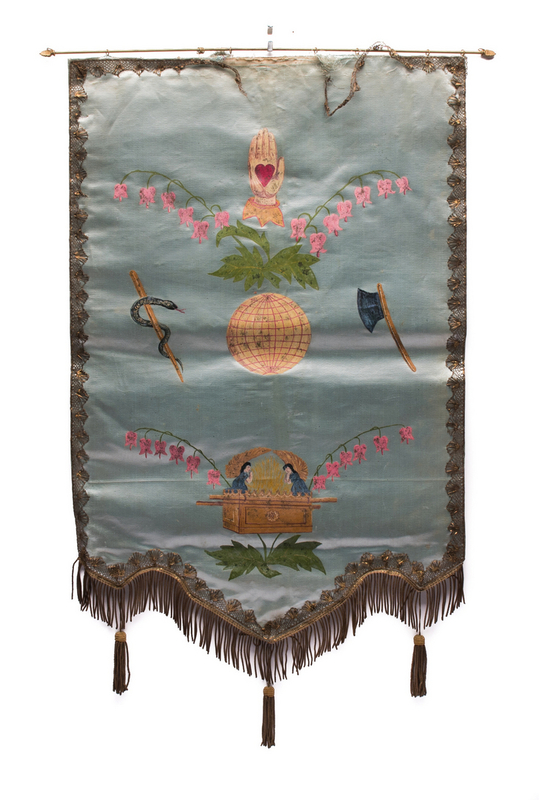 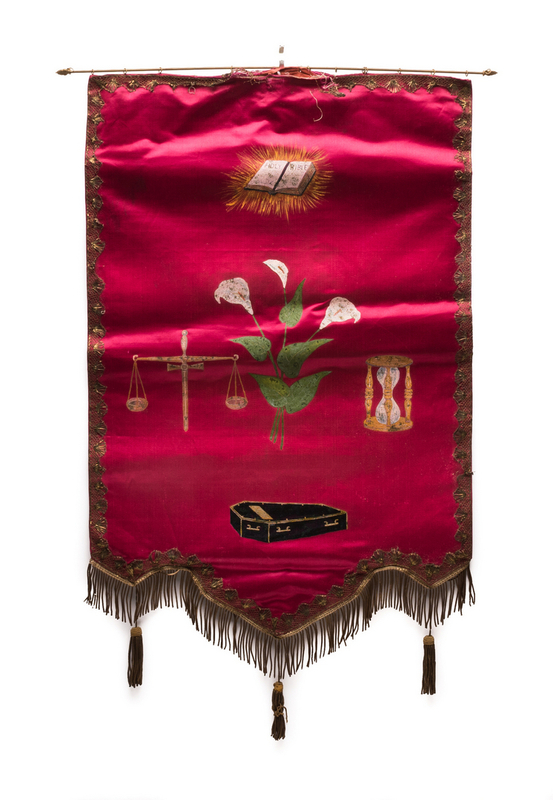 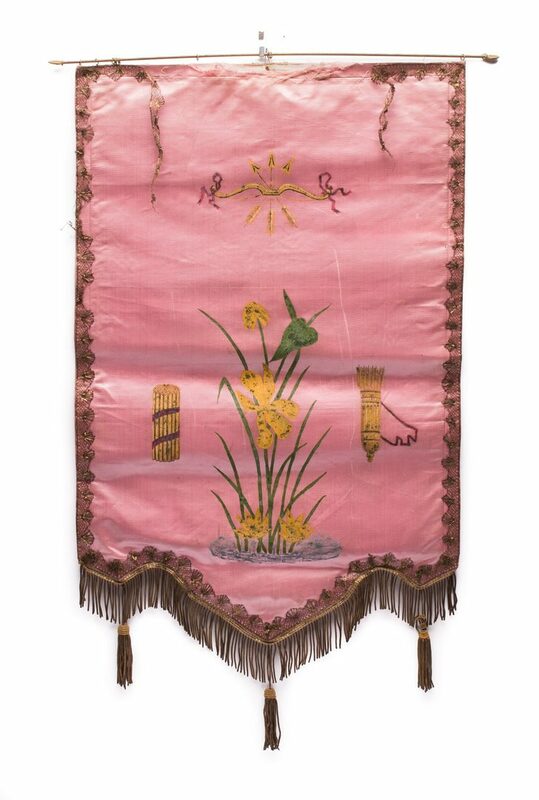 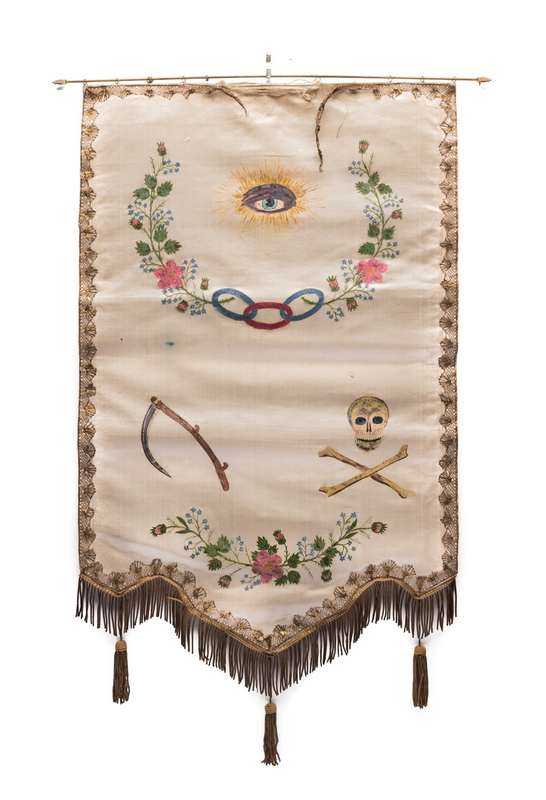 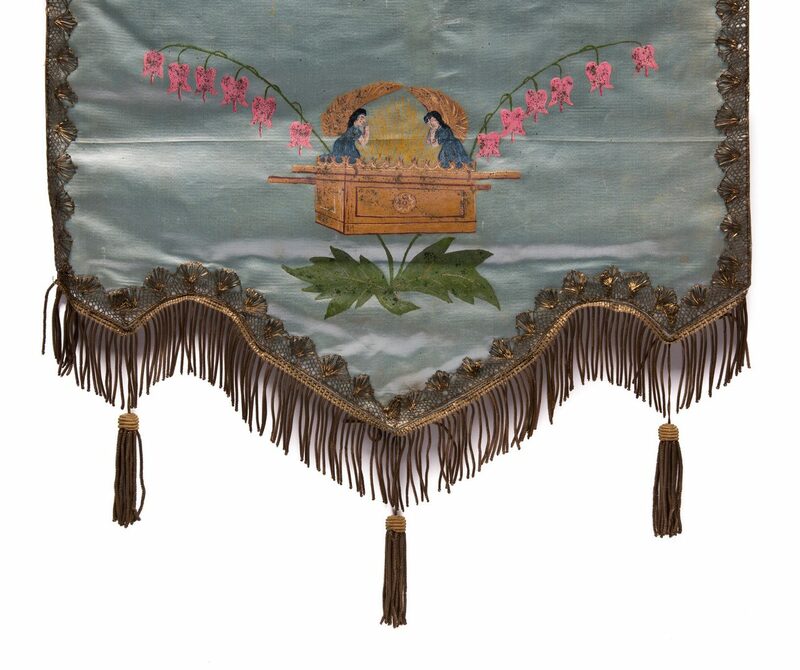 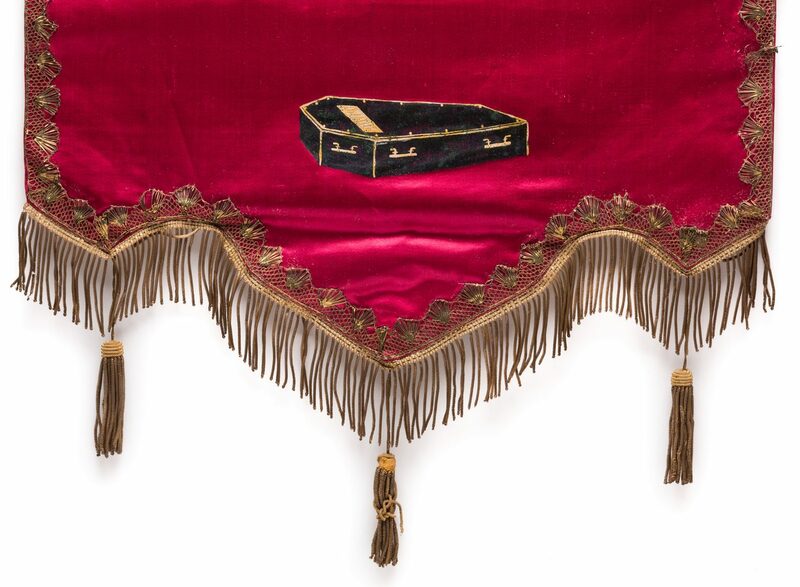 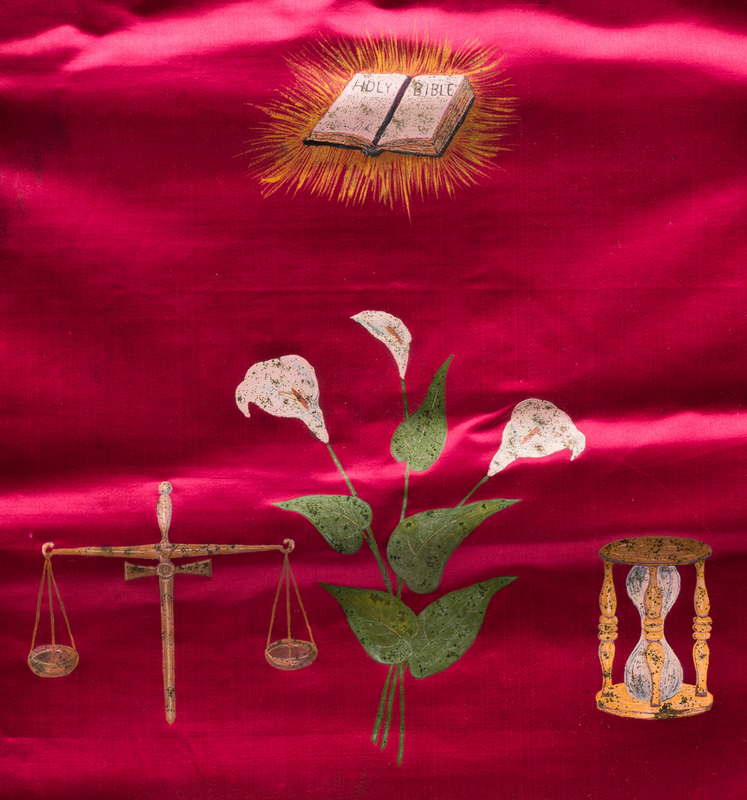 Four (4) 19th century Fraternal Odd Fellows silk banners, each suspended from a brass bar and hand-painted with a variety of different symbols including all seeing eye, heart in hand, coffin, skull and crossbones, Holy Bible, etc. 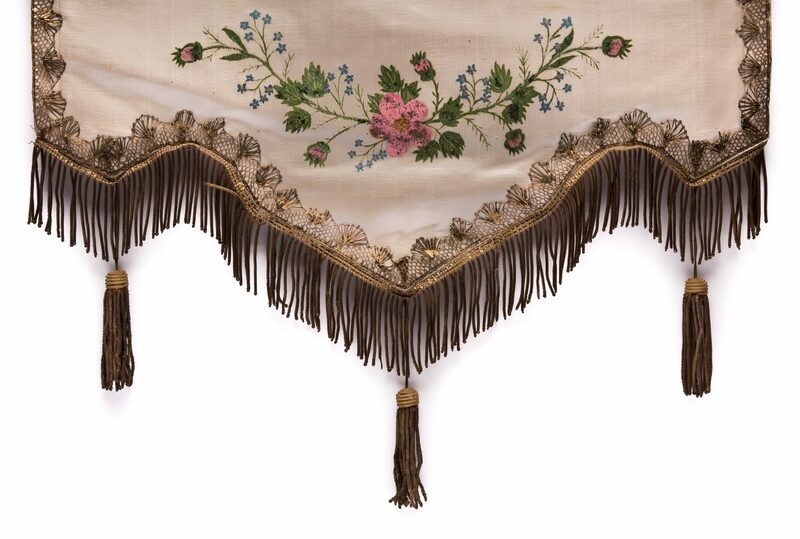 and adorned with silk braid/fringe around the edges. 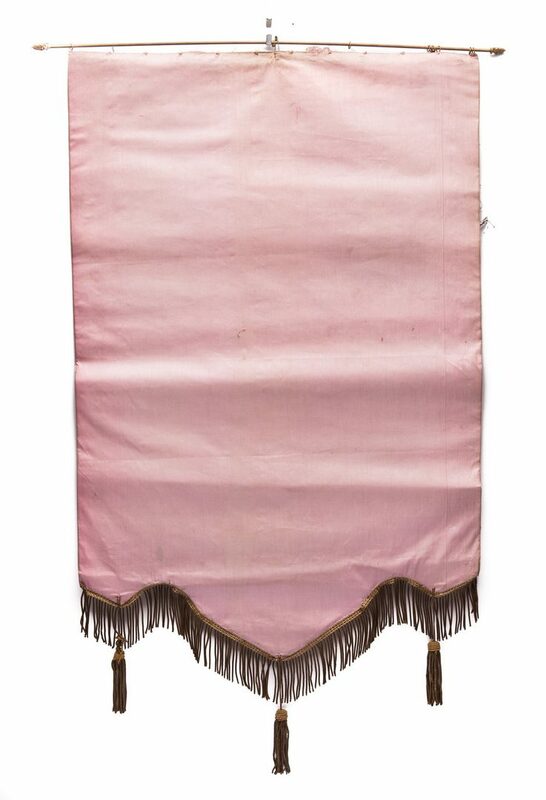 All housed within what appears to be the original paper lined wooden box, with stenciled label for F. Connell Clothing and Gents Furnishings, N. Lewisburg, Ohio. 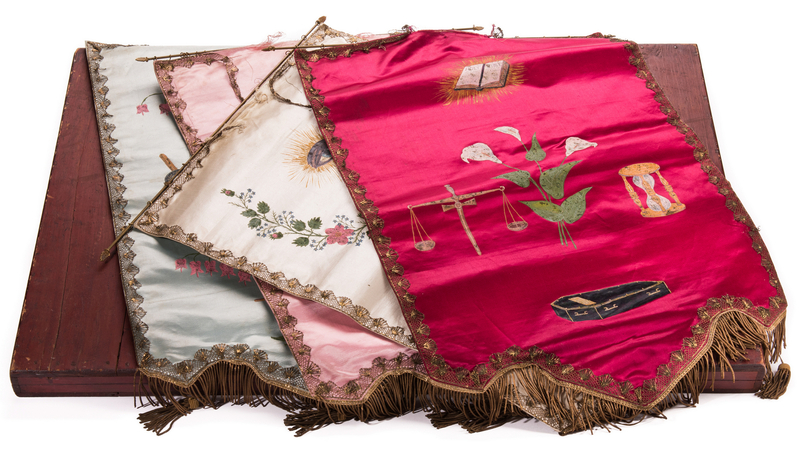 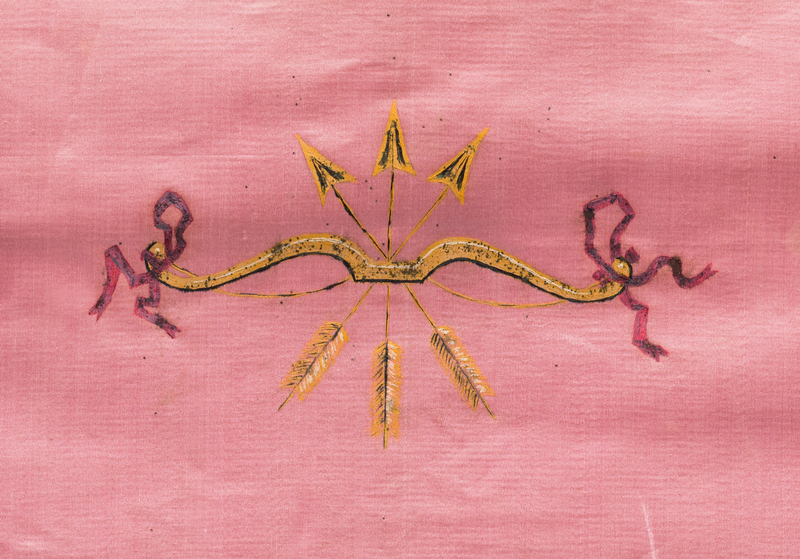 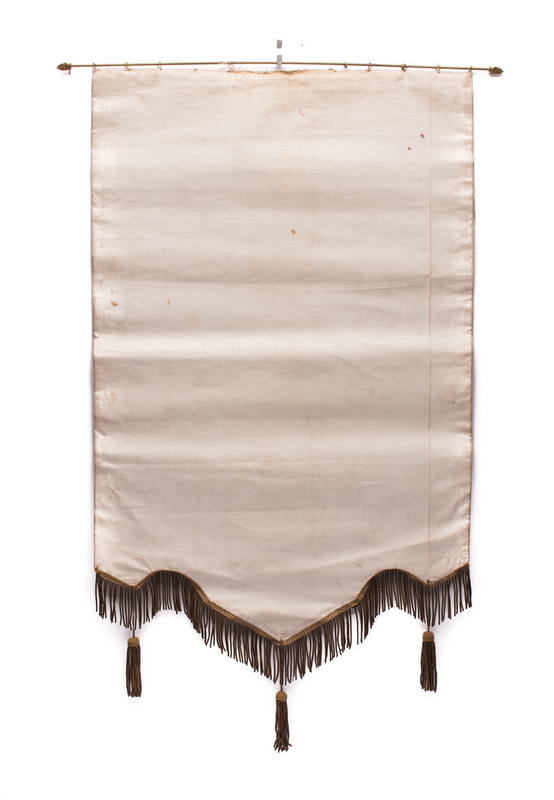 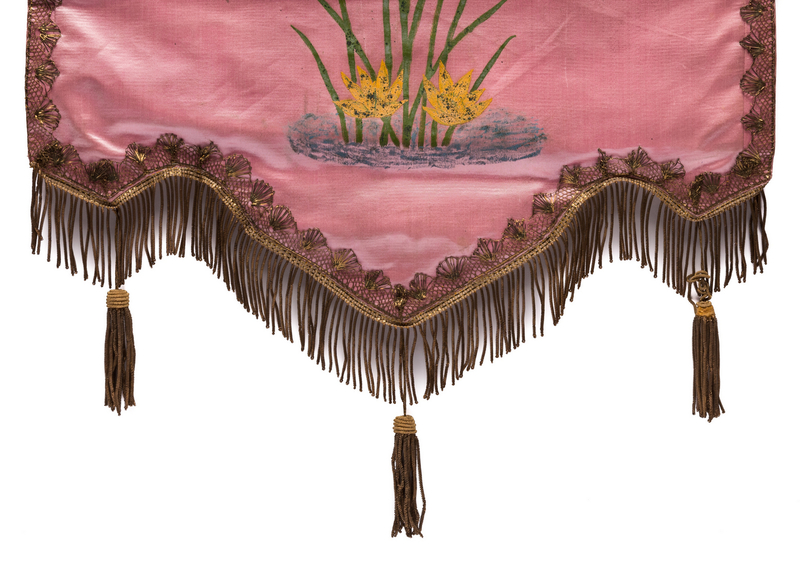 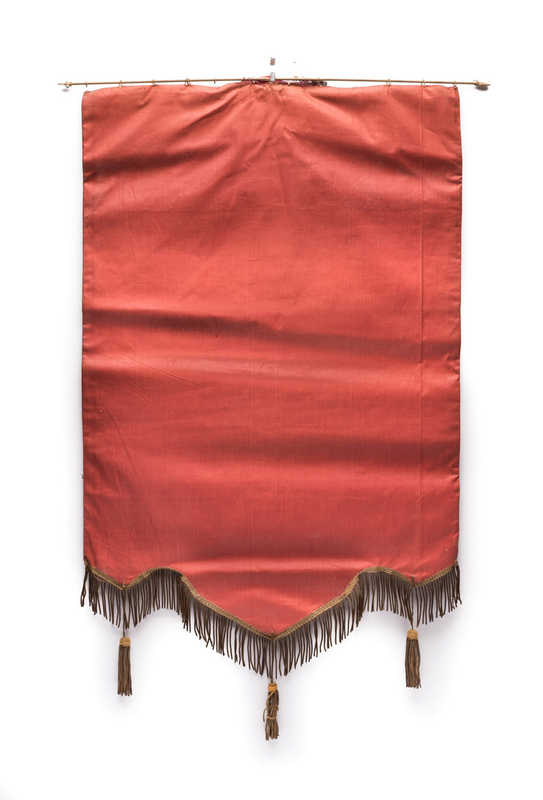 Banners – 29" H x 19" W. Box – 37" H x 25" W. Mid/late 19th century. 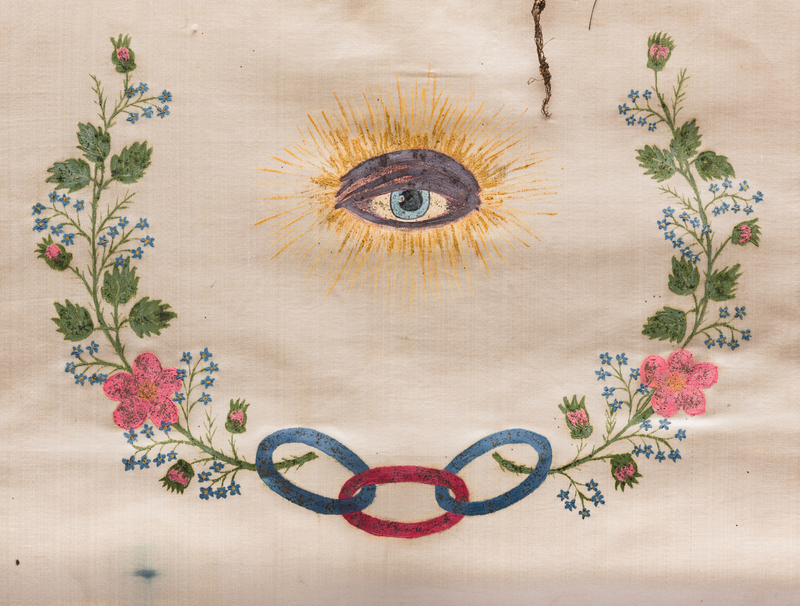 Provenance: Private Franklin, TN collection. 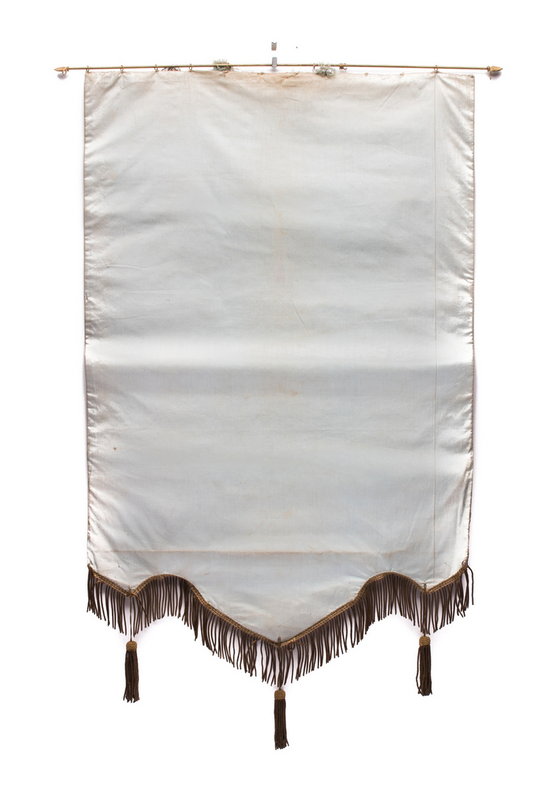 CONDITION: Banners are in very good condition but each has some detachment to some of the gold fringe and losses to some of the gold fringe. 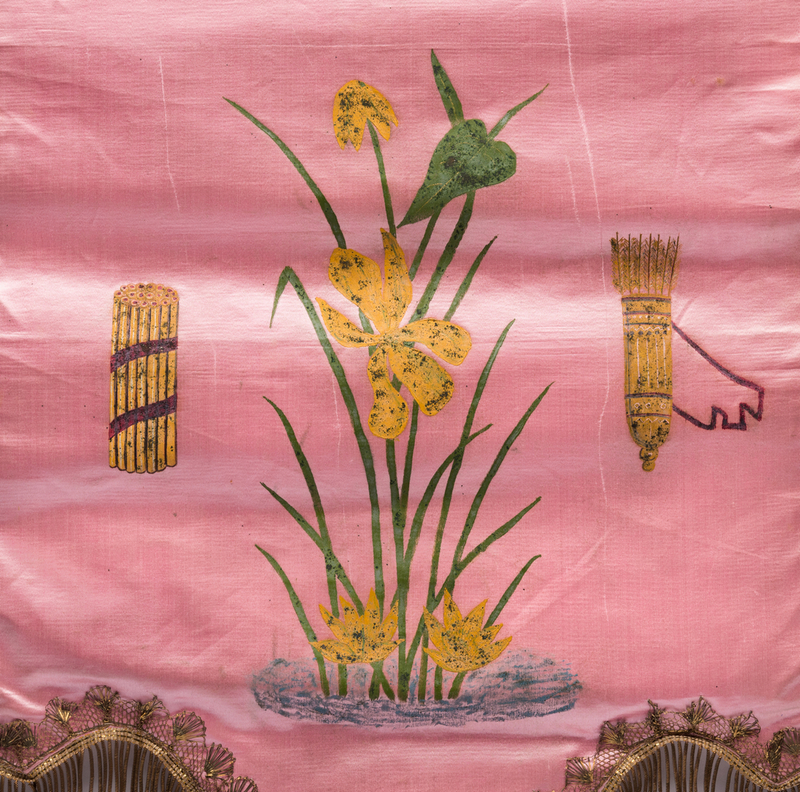 Box shows some wear to exterior and wear/ fading to interior paper lining, but is in fair to good condition overall.